These images were taken by ESO’s SPHERE (Spectro-Polarimetric High-contrast Exoplanet REsearch) instrument, installed on ESO’s Very Large Telescope (VLT) at the Paranal Observatory, Chile. 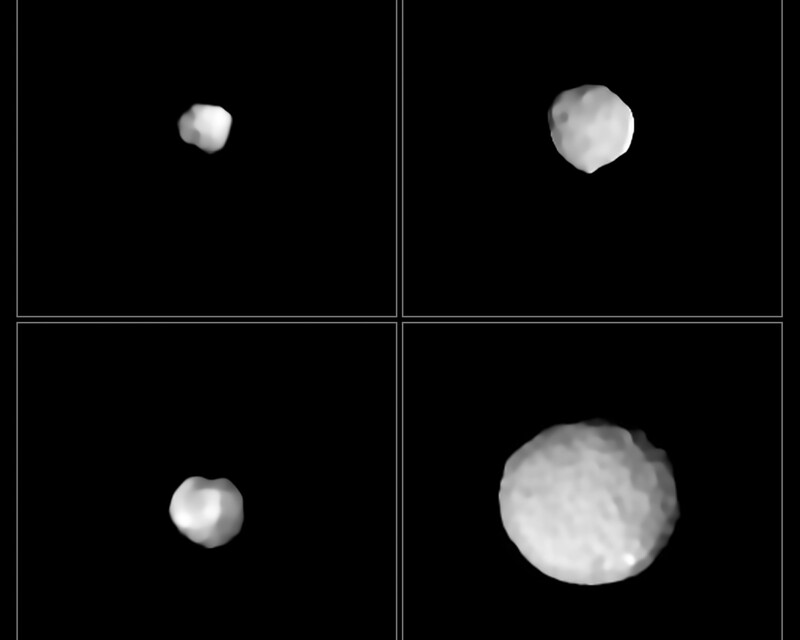 These strikingly-detailed views reveal four of the millions of rocky bodies in the main asteroid belt, a ring of asteroids between Mars and Jupiter that separates the rocky inner planets of the Solar System from the gaseous and icy outer planets. 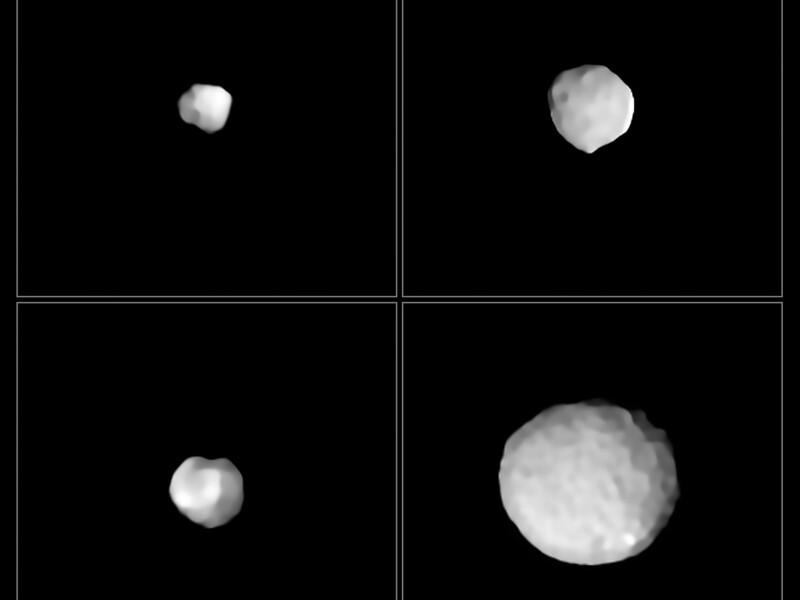 Clockwise from top left, the asteroids shown here are 29 Amphitrite, 324 Bamberga, 2 Pallas, and 89 Julia. 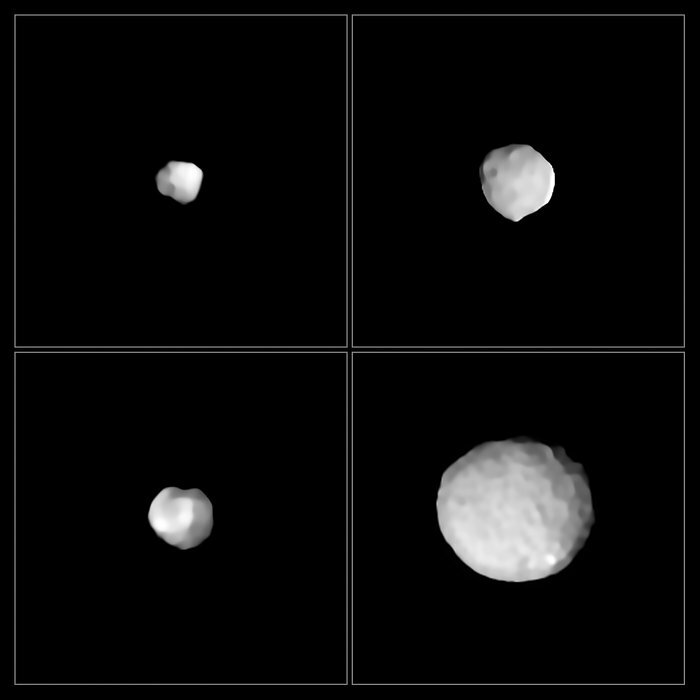 Named after the greek goddess Pallas Athena, 2 Pallas is about 510 kilometres wide. This makes it the third largest asteroid in the main belt and one of the biggest asteroids in the entire Solar System. It contains about 7% of the mass of the entire asteroid belt — so hefty that it was once classified as a planet. A third of the size of 2 Pallas, 89 Julia is thought to be named after St Julia of Corsica. Its stony composition led to its classification as an S-type asteroid. Another S-type asteroid is 29 Amphitrite, which was only discovered in 1854. 324 Bamberga, one of the largest C-type asteroid in the asteroid belt, was discovered even later: Johann Palisa found it in 1892. Today, it is understood that C-type asteroids may actually be bodies from the outer Solar System following the migration of the giant planets. As such, they may contain ice in their interior. 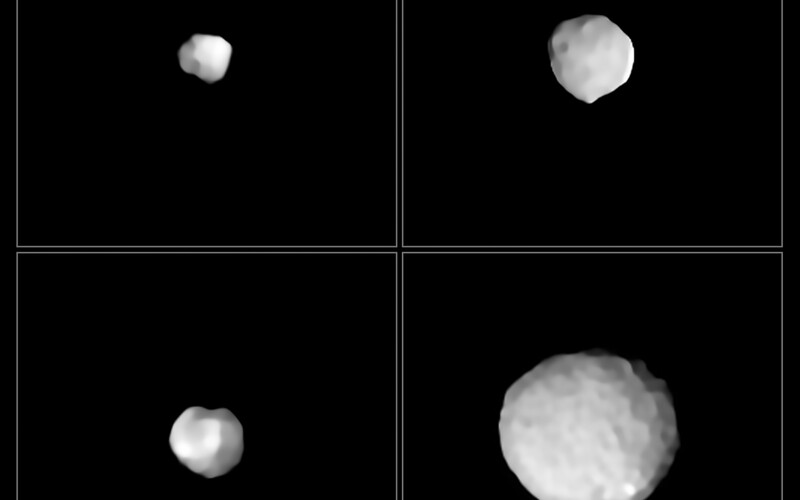 Although the asteroid belt is often portrayed in science fiction as a place of violent collisions, packed full of large rocks too dangerous for even the most skilled of space pilots to navigate, it is actually very sparse. In total, the asteroid belt contains just 4% of the mass of the Moon, with about half of this mass contained in the four largest residents: Ceres, 4 Vesta, 2 Pallas, and 10 Hygiea.